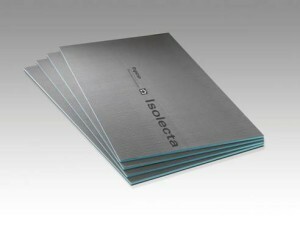 Isolecta Insulation Boards and accessories. Click on the drop down box for all available options. SKU: 1244-0084020. 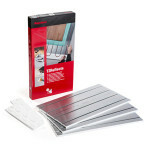 Category: Underfloor Heating Insulation. Calculate required number of boards needed. isolecta Click here to return to product shop. 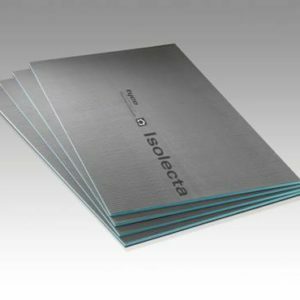 This Isolecta Insulation board is a lightweight insulated tile backing board, with double-sided glass-fiber-reinforced cement layer. 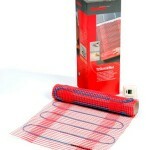 It provides an excellent sub-floor for use with Raychem T2 QuickNet heating mat, T2 Blue 10W/m or CeraPro heating cables. 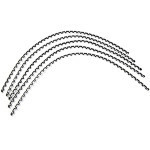 20 Plastic cable spacer: length: 400mm, grid: 25mm, 20pc/bag. 100 Plastic cable spacer: Length: 400mm, grid: 25mm: 100 pc/bag. Energy savings and a fast heat-up. The heat-up time for T2QuickNet, T2Blue, and CeraPro is three times faster in combination with Isolecta. This results in energy savings of up to 65% during the heat-up phase. • The sub floor must be stable, rigid and dry. • The subfloor should be clean and free of debris. • Unevenness (>2 mm/m) of the subfloor needs to be levelled with a filler material. It should not bridge movement joints. Requirements for cement based sub floor or concrete. • In the case of a new concrete or screed sub floor, adequate time must be allowed for curing and drying to avoid shrinkage. Requirements for wooden sub floor. • The wooden subfloor must be dry, free from impurities and from parasitic infestation. Determine the room area in m2 e.g. 9.5m2. Determine the (free) area in m2 to be heated e.g. 8m2. 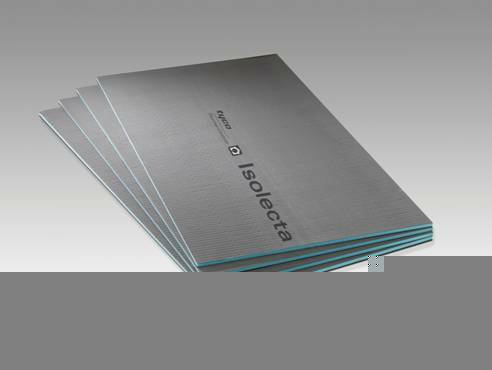 Calculate the amount of Isolecta boxes needed: One box covers 2.85m2 – e.g. 3 boxes. 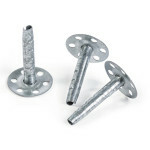 Select your underfloor heating system e.g. T2Quicknet 8.0m2. Select your thermostats e.g. 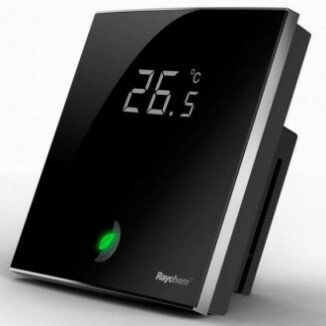 Raychem Greenleaf Thermostats. Vapour barrier provides an excellent resistance resistance to moisture.